Denna text har vi medvetet lämnat på engelska. Vi förväntar oss inte att alla kandidater ska ha perfekt engelska, men grundläggande kunskaper måste finnas. Våra kunder kommer från överallt runtom i världen – och då blir engelskan det gemensamma språket för de flesta. PADI Dive Courses up to Divemaster – for free. Get Rescue and Divemaster course for free in exchange for divemastering for a certain time for us. It is also a program designed for Non-Divers who like to go from the beginner course all the way to the professional level of Divemaster. Are you an enthusiastic water sport fan or already a diver? Are you dreaming about staying for a while on a paradise island and go diving daily? Would you like to spend a good measure of time in a tropical environment? We are looking for divers and non-divers who would like to get a diving education up to Divemaster. We are accepting people from beginning of September until the beginning of February who would like to continue their diving education, become a professional and take the opportunity to gain valuable real world experience. Non-divers will have to pay for the 3-4 day beginner course and the 2 day advanced course. The education up to Divemaster takes place over 3-4 weeks and after that a working off period is required according to your certification level at the beginning of the internship. A Divemaster candidate will be thoroughly familiarized with customer service, dive planning, in water supervision, equipment maintenance and servicing and many more aspects of being a pro. This experience along with the fact that the intern will have worked as a Divemaster allows us to issue a job reference to successful candidates. The offered program will also ensure experience is gained with PADI diving courses by assisting our instructors (planning, conducting and course standards). Therefore, if after the program the aim is to become a diving instructor the preparation is already done! At the end of the program a candidate will have at least 100 – 150 dives. Living on one of the most beautiful and famous islands in the world – enjoying the culture and living style of the Thai society in a tropical environment and at the same time experiencing a completely new world – the incredible variety of the aquatic realm of the Andaman sea. Many internship candidates have by the end of the program seen almost all famous things there are to encounter for divers – from whale sharks, manta rays, various other sharks and turtles to ghost pipe fishes, seahorses and different nudibranchs – not to mention the typical lion fish, scorpion fish and different kind of moray eels. Since the island is such a popular tourist destination you will be in constant contact with all kinds of people from all over the world. Diving being a very social activity – just the team you learn and work with provide an unforgettable time in terms of team work, camaraderie and shared experiences. Everyone that we deal with is of course on holiday hence happy, cheerful and looking to have a great time. Consequently, it’s a fantastic opportunity to meet new people from very diverse walks of life and make new friends. Our team helps create holiday memories for visitors and become part of their memories for life. 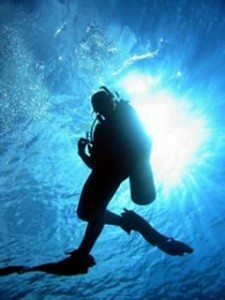 A candidate needs to have her/ his own equipment including a dive computer. Turning non-divers and already qualified divers into highly experienced and professional PADI Divemasters with the ability after the program to go to the next professional level – PADI diving instructor.